Water loss from, or water ingress into a wide variety of structures is a common problem…. 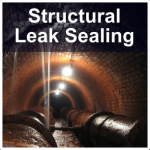 … and one that Ram Services Limited have been using structural leak sealing techniques to deal with for over 30 years. 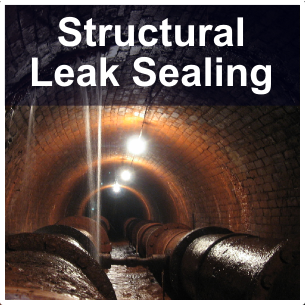 We have developed techniques for a wide variety of leak sealing requirements. These use a variety and combination of caulking compounds and injected cementitious, epoxy, polyurethane and acrylic resin grouts. Leak sealing work is often carried out in a confined space working environment, and utilises a variety of conventional and specialist plant. Other measures are available to effectively deal with leaks through mechanical expansion joints of car parks and bridges, through joints in water retaining structures subject to large movements and in large diameter pipe joints.